Facebook seems to always do some sort of change or update, especially with the Facebook news-feed algorithm. With these changes, most marketers are trying to figure out how this will affect their business. We would like to share seven ways you can stay visible despite the Facebook algorithm changes. • Posts that only push people to purchase a product, or even install an app. Solution – Post funny, yet professional posts to keep people engaged. Once in a while you can say something about your business, but not in a pushy way. Remain helpful and you should stay visible. If you start posting as a marketer, you’re sure to become invisible. However, start posting as a fan. Solution – Start posting things that are still professional, but things that your fans would post themselves. When you’re out fishing, you can stroll around, finding a good area for fish to finally bite. You can also stroll around on Facebook, trying to get bits from your followers. If you put out engaging content at least 50 percent of the time, you may get them to bite. Solution – Always remember this technique. Never forget to “stroll around” first. Don’t dive right in. What is your reach on all of your social media pages? This includes all of them, such as Google+, Twitter, Facebook, Instagram, and Pinterest. You may not know your reach on all pages, but when it comes to Facebook, it’s easier to keep track of. Solution – The reach is always useful to know. However, you don’t have to obsess over it. If you find yourself obsessing over the reach, you’re going to increase the risk of invisibility. If you want to stay visible, make sure you keep your subscribers engaged to your content. Your followers, retweeters, etc. won’t be as valuable to you as your subscribers. Your subscribers have trust you enough to give you their email address. Email is very much alive still – that along with your blog, podcast, and website should be your number one priority. Solution – Just keep your subscribers close and you should be all set to stay visible. I’m sure you’ve heard the term, “Don’t put all your eggs into one basket”. It’s so true. Facebook is one of those eggs, but an important one. It’s not the only egg, though. To stay visible online, it’s crucial that you fill other eggs as well. Solution – Keep your eggs in the right baskets. This will result in higher visibility and stop the chances of risking your business. The Facebook algorithm update is not all about making sure people are getting better content; they are also part of the strategy that Facebook has set. Facebook has their shareholders, so they need to make the money. There will always be a possibility that Facebook will tighten the reign on organic reaches. 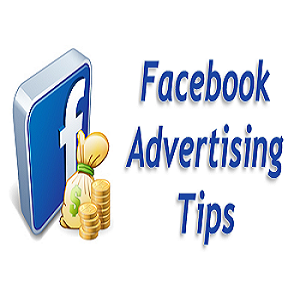 Solution – If you want your content seen on Facebook, you should include some paid ads, even more-so for your promotional content that Facebook might keep from fan’s view.